Mini tote bag is just the right size for a quick trip shopping, an evening out with a few neccessities, or a lunch tote. The small tote purse overall height with handle measures 14.5"W x 10"W, 4.75 inches across bottom. Lined inside with zippered side wall, outside zipper closure. 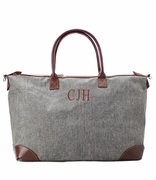 All bags are accented with brown handles. 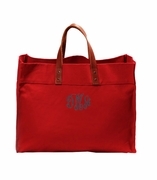 Includes one name or three letter monogram. 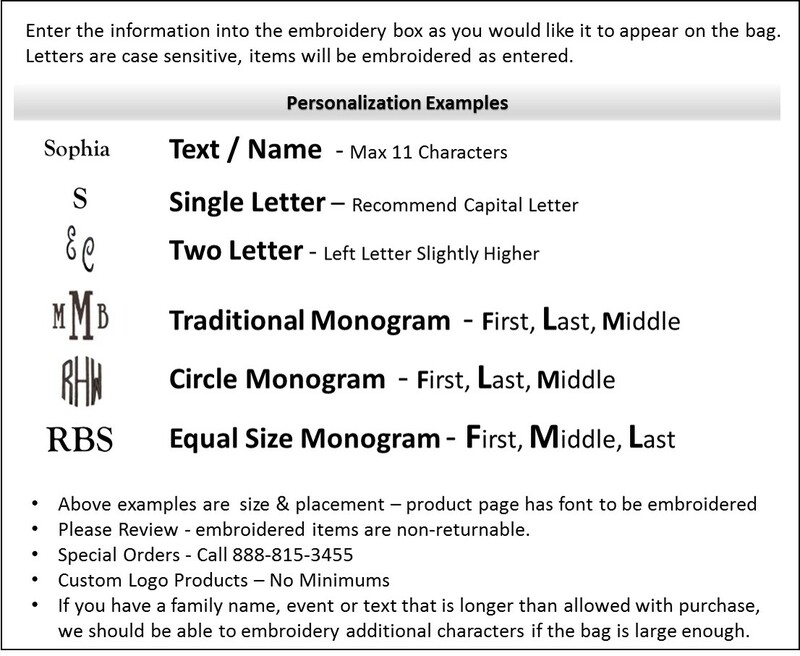 Monogram sequence First Initial, Last Initial, Middle Initial enter into text box in that order.